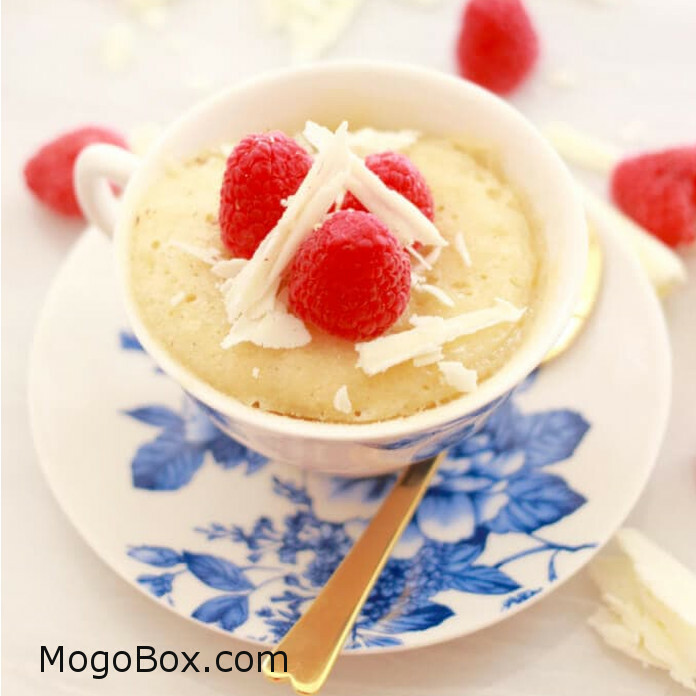 MogoBlog MogoLicious Tasty Tip of the Day: This White Chocolate & Raspberry mug cake is a well-balanced marriage of both sweet and fruity. In a microwavable mug (roughly 1 cup measurement), add your raspberry jam to the bottom and pour the cake mix in on top. If you don’t want to cook them off straight away, then place them in the refrigerator for up to 24 hours. Allow to cool for at least 5 minutes and then pipe on your whipped cream. Finish with fresh raspberries and white chocolate shavings. This entry was posted in MogoBlog, MogoLicious and tagged #MogoBlog, Egg Free, MogoBox, MogoLicious, Mug Cake, Raspberry, White Chocolate.